Add-ons are a great way to prompt the sales staff to offer accessories and other products in the middle of a sale, that might otherwise been missed. Select the Stock tab, Setup, Products, Addons. Select New Entry. 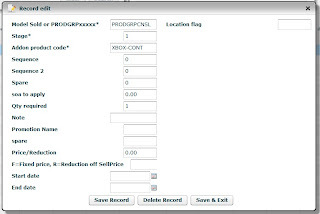 Enter in the Model number or if you want an entire product group enter in PRODGRP and the product group code. Enter the stage this add-on will appear in the list. Enter the Model number of the Add-on. Enter in the QTY of the add-on. 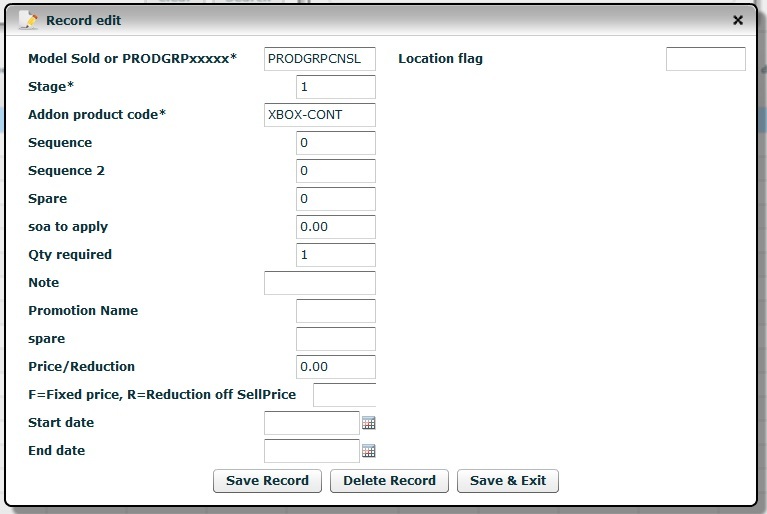 Leave the Price/Reduction and F/R blank and it’ll use the selling price of the add-on product or you can set up an overriding Fixed price or reduction from selling price. Other options can be used for date range, Location and if you need to report on these you can give them a promotional name. In the sales screen, add a model that an add-on applies to. On the Right hand side below your warranties will now appear the list of add-ons. Select a + to put an add-on onto the sale.